We the People (after Pierre Cavellat), 2013, © Carey Young. C-Print photograph, 190 x 124 cm. Courtesy of the artist and Paula Cooper, New York. The art scene has started earlier than opera in Zurich in September. With a sensational show, The Migros Museum für Gegenwartskunst re opened last autumn in the old brewery Löwenbräu- Areal in Zurich west where art, business and residential complex was developed. Including Kunsthalle Zürich, world famous leading gallery, Hauser & Wirth, Eva Presenhuber and Bob van Orsouw returned here together. Luma Westbau/POOL etc., JRP Ringier a contemporary art publishing company and Freymond-Guth Fine Arts Gallery joined as well. Indeed the art block Löwenbräu White is internationally significant center of modern art in the world. The invitation for the new season of The Migros Museum für Gegenwartskunst is ‘Legal Fictions’. It is the solo show of Carey Young. Carey Young living and working in London is a well-known visual artist, using the variety of media mix such as video, photo, performance, installation, etc. Since approx. 2003, she has focused law-based work addressing the monolithic power of the legal system, taking the experimental form from law as a conceptual and abstract time and space. 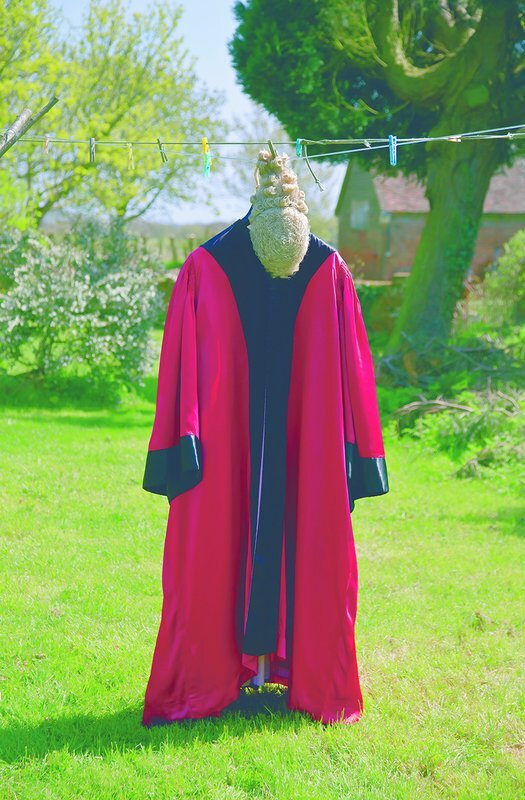 ‘We the People’ is a large-scale photographic work, featuring a judge’s robe and a wig hanging on a garden washing line. Uncertain Contract, 2008, Videostill, © Carey Young. Courtesy of the artist and Paula Cooper Gallery, New York. In the video ‘Uncertain contract’, an actor performs a script composed of functional legal instruments such as commercial contracts. Authority of power is divided or varied in performance and language; she highlights ambiguity or gap of law system with a sort of her joke and humor. Body Techniques (after A Line in Ireland, Richard Long, 1974), 2007, © Carey Young. Courtesy Paula Cooper Gallery, New York. 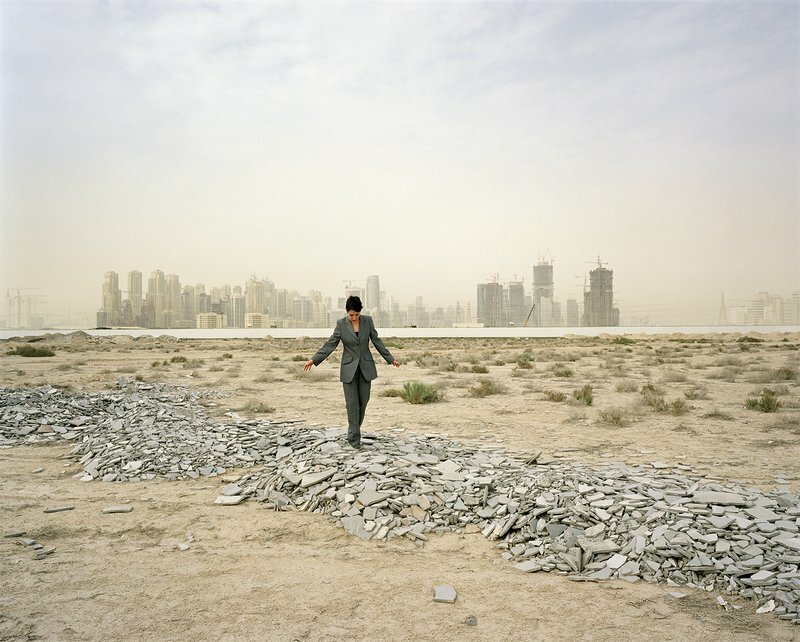 ‘The Body Techniques’ series is the video that Carey Young herself in business suit shows us her performance on the stage that is bleakly buildings sites in the United Arab Emirates. Her fiction remakes various our daily life scene under controlling of society and law system. The show includes a number of new commissions that are contextualized by various earlier works. Her exhibitions have already achieved great success in London, Munich, and New York etc. Indeed “Legal Fictions “ at The Migros Museum für Gegenwartskunst is her first big solo show in Switzerland.